is constant along a streamline, where is the pressure, the density, and the total energy per unit mass. which demonstrates that has the same value at any two points on a given stream filament, and is therefore constant along the filament. 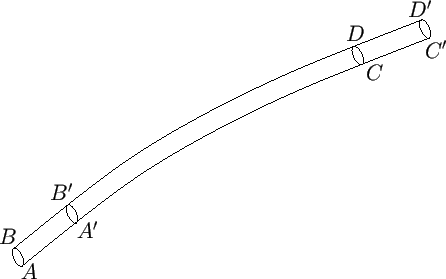 Note that Bernoulli's theorem has only been proved for the case of the steady motion of an inviscid fluid. However, the fluid in question may either be compressible or incompressible.